What a great code! This is exactly what I’m looking for, but I cannt find a way to define a control segment like flap on the lifting surface, is there a way to do this? Many thanks its a great feature for me. Thank you for the feedback! Fitting control segments is not a current feature of occ_airconics. However, András Sóbester has a current project looking at how this can be achieved in the Rhino AirCONICS. My aim is that the outcomes of that project will be integrated with occ_airconics, but if you need this feature in the near future, it may be worth contacting András to request access to the development code for Rhino. If you have any other bugs or feature requests for the occ version of airconics, it would be a great help if you could submit them on the project’s issue tracker. 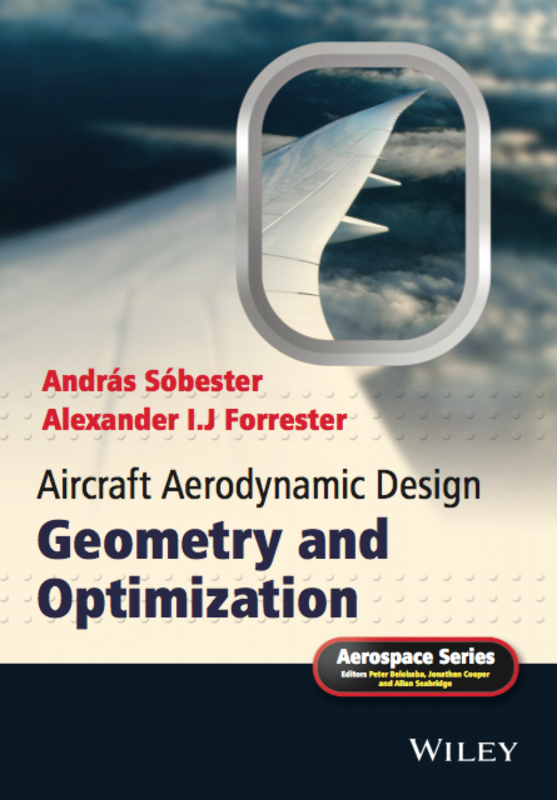 Hi there, I’ve got another qustion which is about generating wing leading edge points, both in the book or in the python code it is going to make use of sweep function and dihedral fuction. But what if there’s a 90 deg dihedral in the dihedral function and then I get Infinity tagent at that point? How to calculate LEPs at that case? Just like the given Box-Wing example, I can’t see any ways to avoid this (I say ‘avoid’ cause that the midpoints in Tilt_array in the code are just not at the ‘wing tip’ that you may not encountered a numerical error like this(maybe I missed something please tell me if it is). Hi Will, I think you’re right that this a numerically unstable situation. I’ve relayed the information to Andras and he will be looking into a solution. May I ask what shape lifting surface you are hoping to model here, I.e, is it a box wing, or a wing with a steep winglet, etc.? This may help us address the issue. Since the book does not present a detailed numerical approch to calculate leading edge points using the functions, I thought it may going to use numerical Integration at first. But in this case, the whole wings’ dihedral angle is not a function if we place it in to a cartesian coordination(a X will mapping multipul Ys), if I’m goint use gradient I will certainly get an Infinit tangent error on the tip when the step of integration is small enough, so I went to take a look at the code to see if there are some good ways to get the leps, then I found that it may also need some fix.